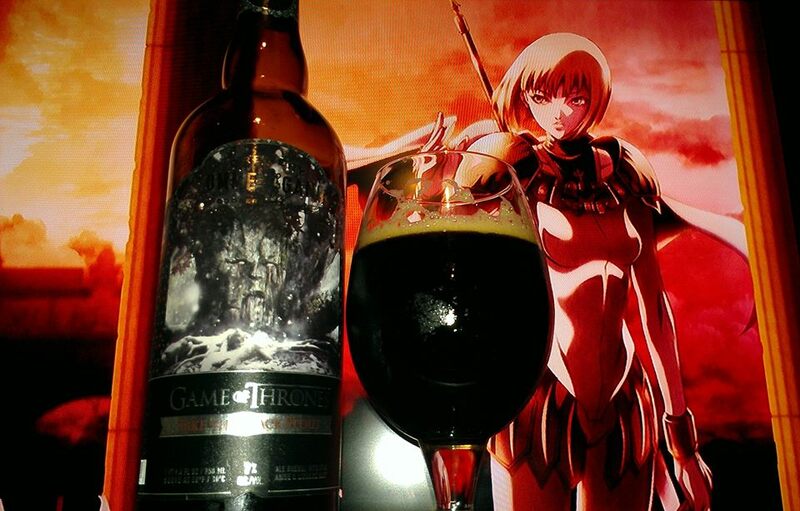 Take the Black Stout collaboration by Game of Thrones and Ommegang is a 7% ABV Belgian Dark Ale brewed with licorice root and star anise. 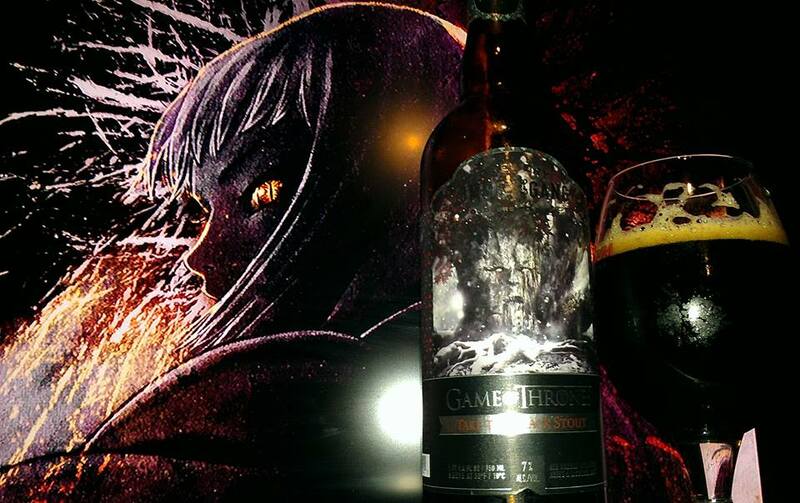 A stout as dark at the winters that once engulfed Westeros, as robust as the men who swear their oaths at the weir wood tree. Chocolate and caramel sweetness are balanced by hop bitterness. Roasty, woodsy notes, and an earthy finish. Pour slowly so as to not disturb the yeast sediment, but with enough vigor to create a luxurious head and release the rich bouquet. 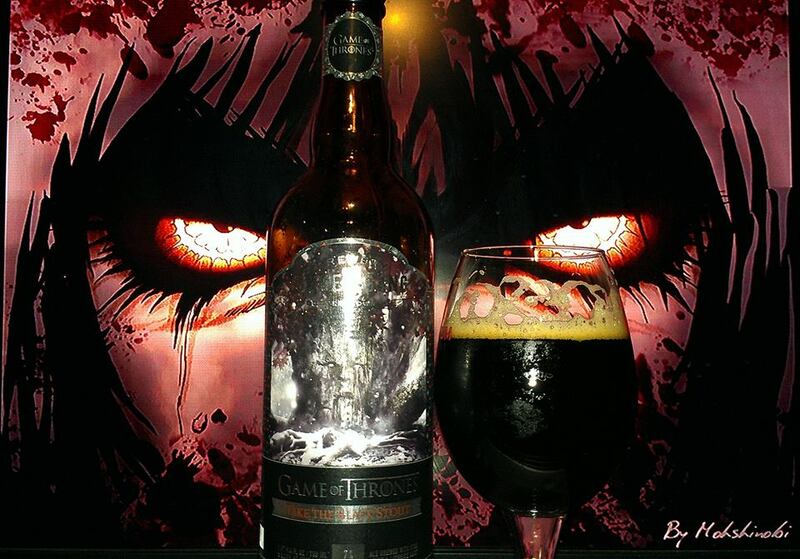 The second release of Game of Throne series of beers is one that is a Belgian Stout. One of my favorite styles. Ommegang decided to brew many of these so make sure to pick this one up before it is gone. Also, even if this could be a gimmick, similarly like the last beer, you can never go wrong with Ommegang beers. Aromas are similar to a Black Ale, with fragrances of chocolate, licorice, chocolate, caramel, dark fruit, roasted malt, peppercorns, earthy hops, fudge brownie, incense, oak and brown sugar. The aftertaste is of sweet chocolate, earthy bitterness, dark fruit, and brownie notes. This is a full bodied beer so it is best enjoyed sipping. As it warms up, the beer becomes more balanced. Initially it was pretty roasty but as it warmed up, stuff started to fit together. Overall this is a very good beer. If you watch the show this may be more enjoyable. I actually do not watch it, but I like good beers and this one is good stuff. Looking at the label with the tree, all dark, woodsy and deep roots in the earth, the flavors make a lot of sense. Might go with Lord of the Rings movies too, who knows. Belgian beer lovers and even those that don’t like licorice will like this one.